Orders will be processed according to order date. The first pre-order batch will be shipped after June 1st, 2019. 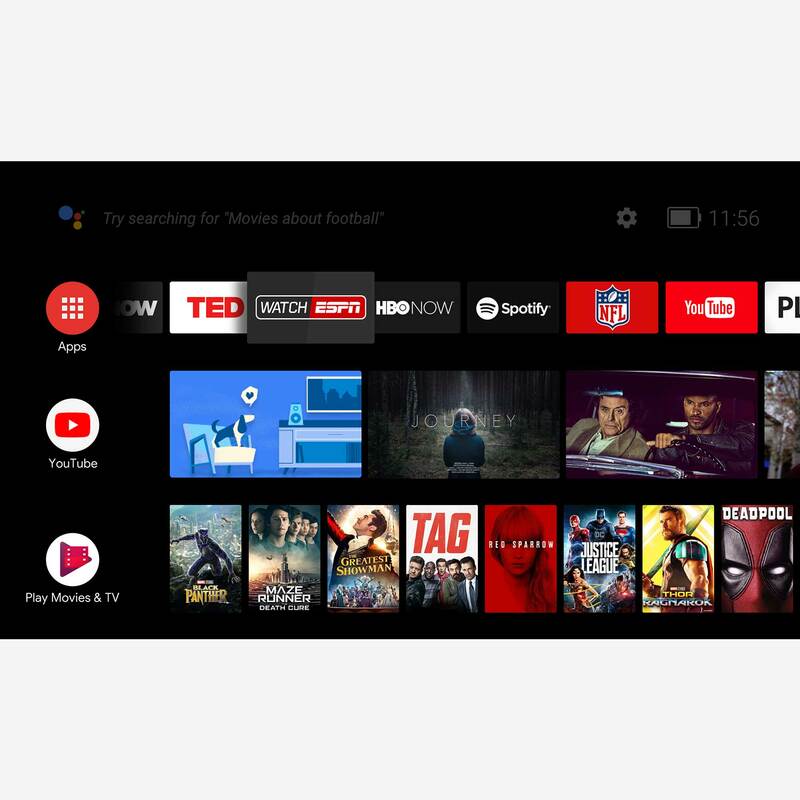 Enjoy a universe of awesome entertainment with Android TV. 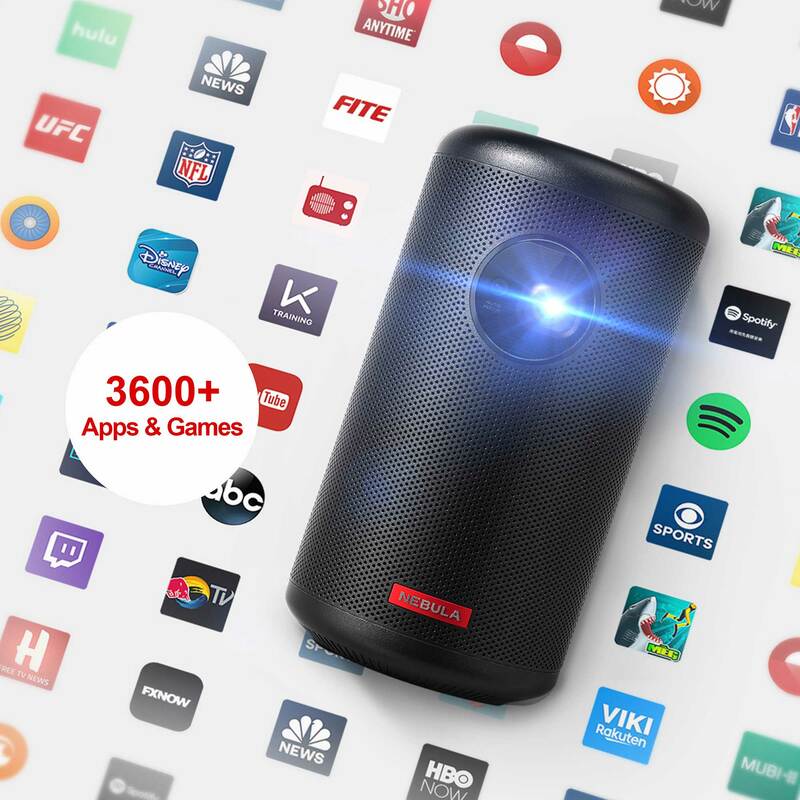 Choose from thousands of movies, shows, and games. Download all of your favorite apps, including Hulu, YouTube, Amazon Prime, Twitch, and more. 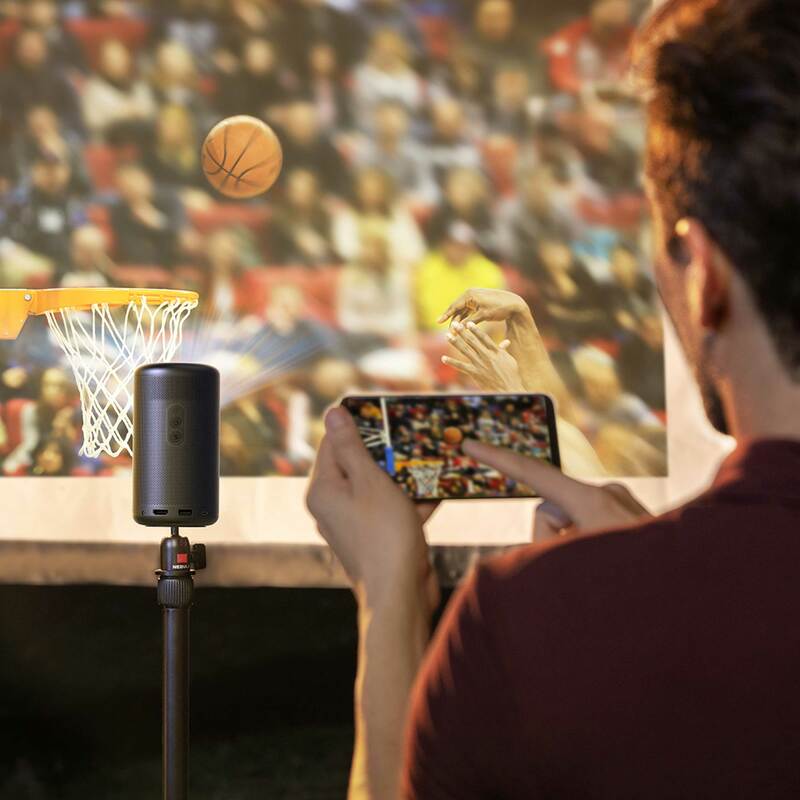 Expand your entertainment with Chromecast. Cast your most beloved apps from your Android or iOS device, Mac or Windows computer. 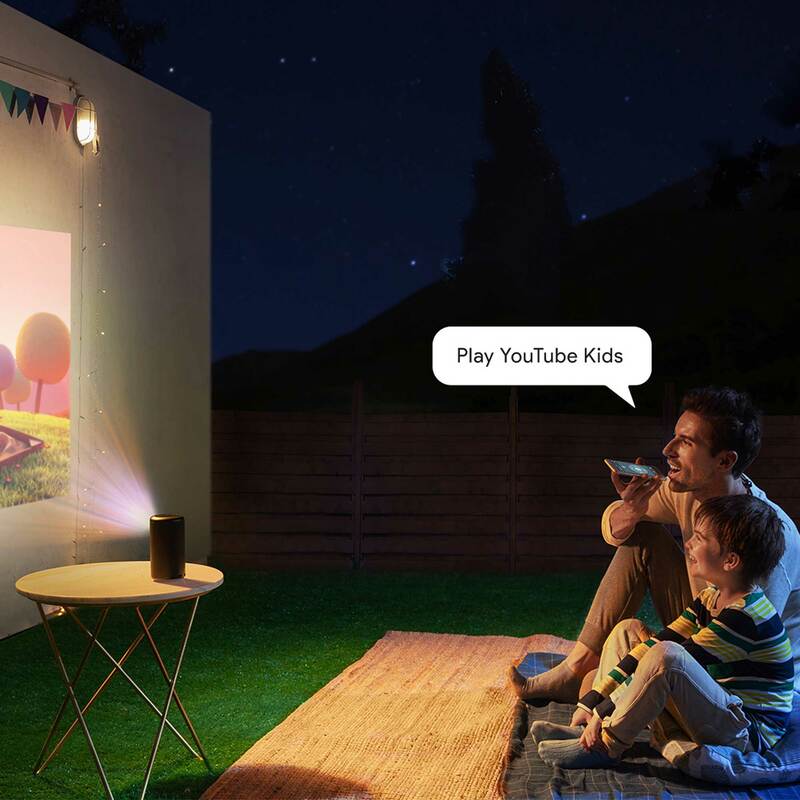 Instantly access all your entertainment with the Google Assistant. 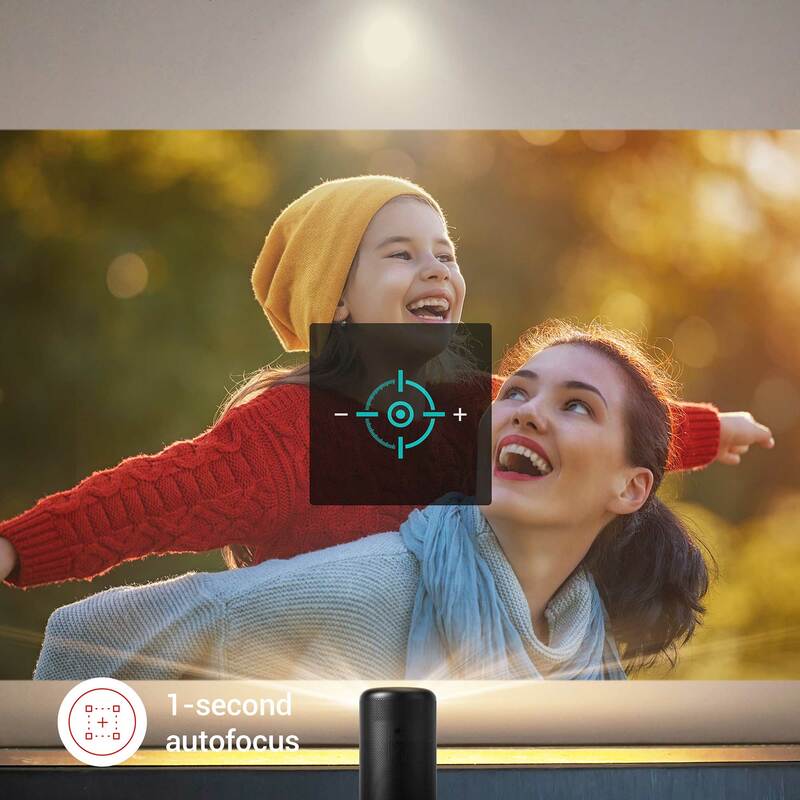 1-second auto-focus analyzes the projection surface to deliver a razor-sharp, high-definition image. 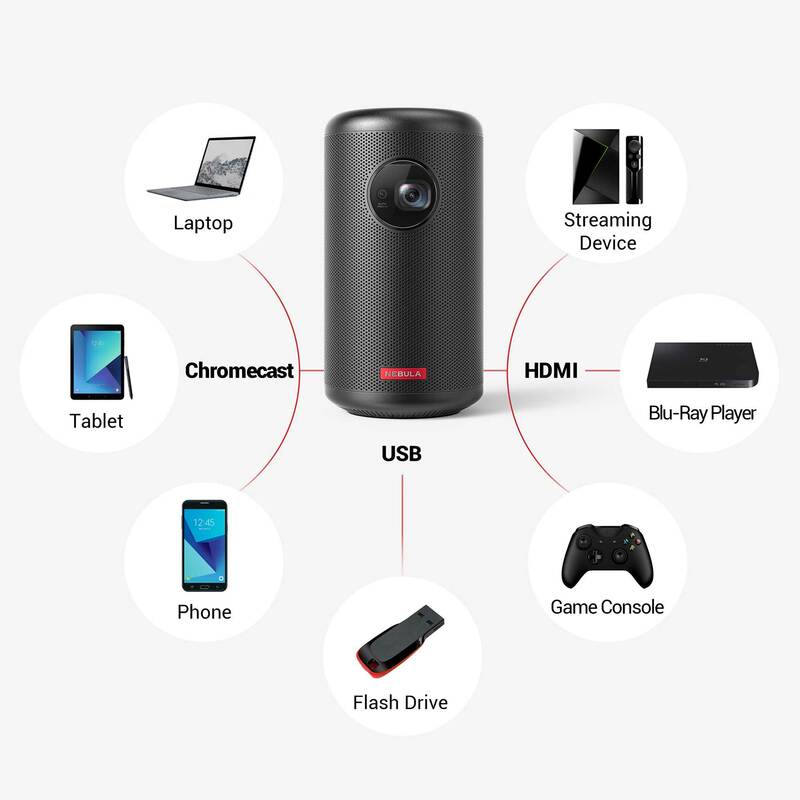 Watch content via physical connections like HDMI and USB, or wirelessly over WiFi, Bluetooth, and Chromecast. Capsule II’s USB-C port with Power Delivery technology enables rapid charging. 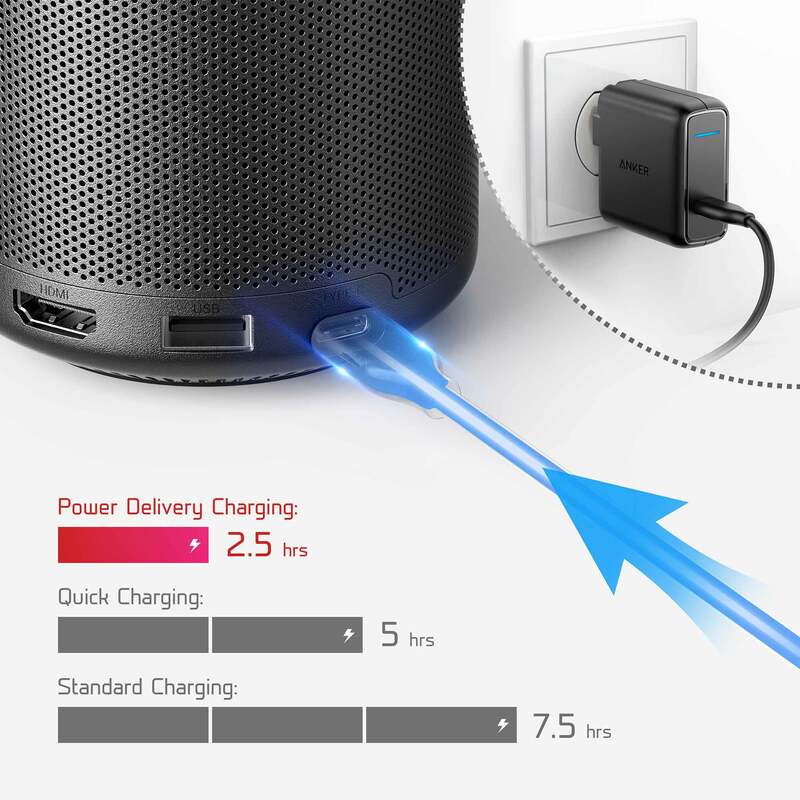 Watch and charge simultaneously with the included Anker charger. Enjoy your favorite films in their entirety. 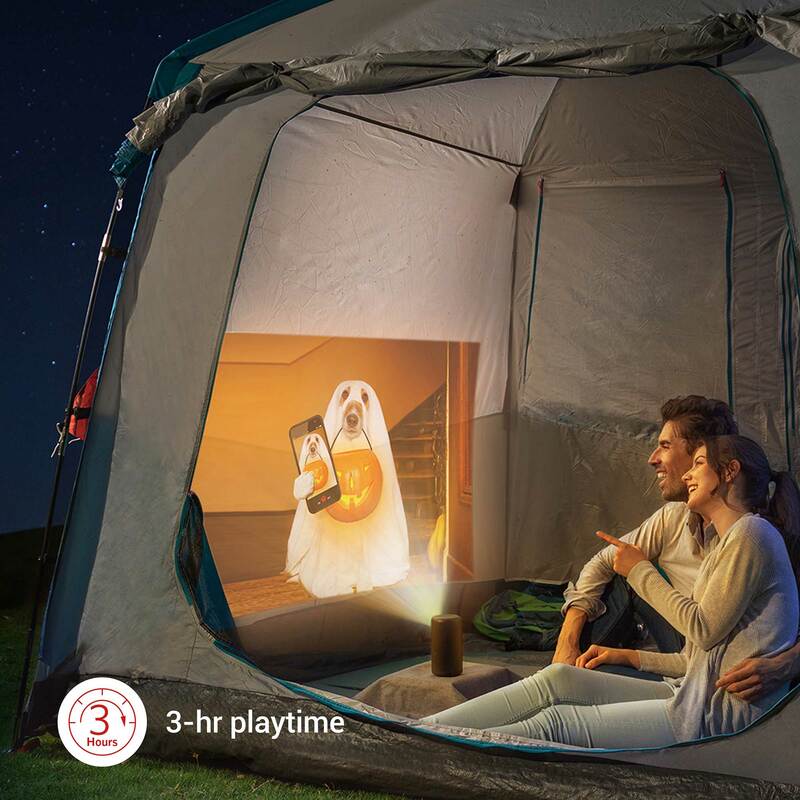 Capsule II delivers 3 hours of continuous HD projection. Will Capsule II work correctly if I use it in another country? Yes, providing you possess the relevant adapter. Does the Nebula app feature a remote control function? Yes, it does. The Nebula Connect app can control Capsule II if you do not have the physical remote control. Does the keystone correction feature work for both horizontal and vertical orientation? Keystone correction is only available for vertical orientation. How can I connect and mirror the content on my iOS and/or Android device? Capsule II features built-in Chromecast. For iOS devices, you can enable the Chromecast function directly from Chromecast-compatible apps or via the Chrome browser.